Joe Mele has performed locally, regionally, and internationally with the finest local bands as well as many fine international artists. These bands included Joe’s own original project bands, Breakfast of Champions, Merlin’s Minstrels and Emerald City; as well as Ernie Williams and Blue Hand Luke. He has played showcase work in New York City, Los Angeles, and London for such well known record magnates as Dee Anthony. In 2013, after losing his son to suicide, Joe started the annual Dustin Mele Memorial Concert which is a top musical event in Troy, NY, drawing an average of 600 people each year. To date, the Dustin Mele Memorial Concert event and Fund has raised $70,000 for regional assistance programs including American Foundation for Suicide Prevention (AFSP); National Alliance on Mental Illness (NAMI), and Rensselaer County mental health and emergency assistance programs through the Catholic Charities CONSERNS-U program, all in memory of Dustin. Joe also helped build and design the club J.B. Scotts in Albany. Installing his sound system, he was house engineer for 1 1/2 years, engineering bands The Ramones, Pat Benatar, Annie Lennox, Buddy Rich Orchestra, Count Basie Orchestra, and many more. 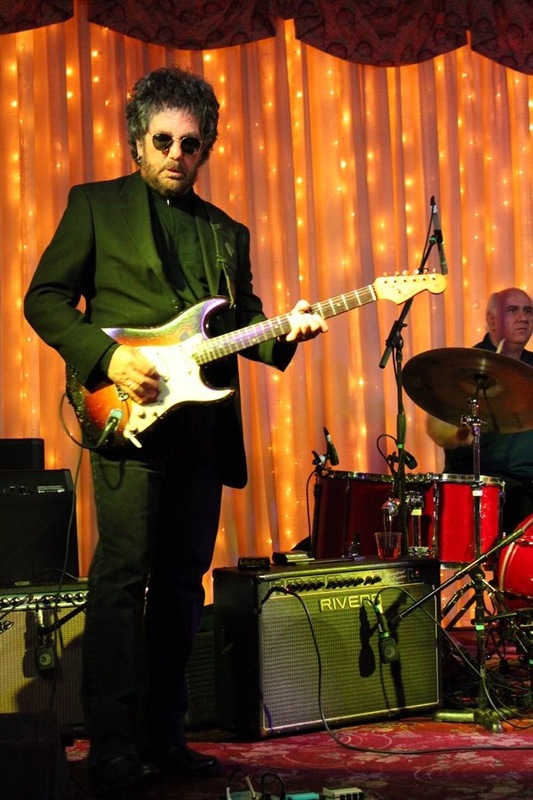 Joe has toured extensively, playing shows across New York State, New England, and throughout the U.S. and Canada; performing in bands at the prestigious Boston Blues Festival, New York Blues Festival, and Chicago Blues Festival, Buddy Guy’s Legend’s nightclub in Chicago, House of Blues in L.A., House of Blues in Boston; New York’s Manny’s Car Wash, Kenny’s Castaways, and The Bitter End. In 2012, Joe was inducted into the New York Blues Hall of Fame. In Joe’s years of performing, he has shared the stage with such acclaimed artists as B.B. King, Aretha Franklin, Junior Wells, Derek Trucks, Alan Woody, Warren Haynes, Dickey Betts, Dan and Frankie Toller, Johnny Copeland, James Cotton, Joey Molland of Bad Finger, Terry Sylvester of the Hollies, Billy Kramer of The Dakotas, Luther “Guitar” Johnson, Eddie Clearwater, Savoy Brown, Joan Osborne, NRBQ, John Hall, Orleans, Dr. John, Little Feat, Lonnie Mack, Honey Boy Edwards, New Riders of the Purple Sage, Debbie Davies, Sam Lay, Mighty Sam McLain, The Holmes Brothers, Johnny Johnson, Kenny Neal, Dave Mason, Charlie Daniels, and Vince Gill. Joe has also participated in clinics with drummer Carmine Appice. Joe’s studio work includes development work for producer Dee Anthony and many independent record labels. He has a wide ranging studio background, playing and producing on many independent and intermediate record label projects in New York, New Jersey, Los Angeles and London. While performing with Janelle Donovan at the Blue Bird in Nashville, Joe recorded with Billy Cox for Gene Golden who was the musical director for Kenny Rogers. In 2001, Joe received the Northeast Country Music Award for songwriter of the year with fellow musicians Janelle Donovan and Tony Perrino. Most recently, Joe plays with area favorites Emerald City, Soul Sky, and Marcus Ruggiero. 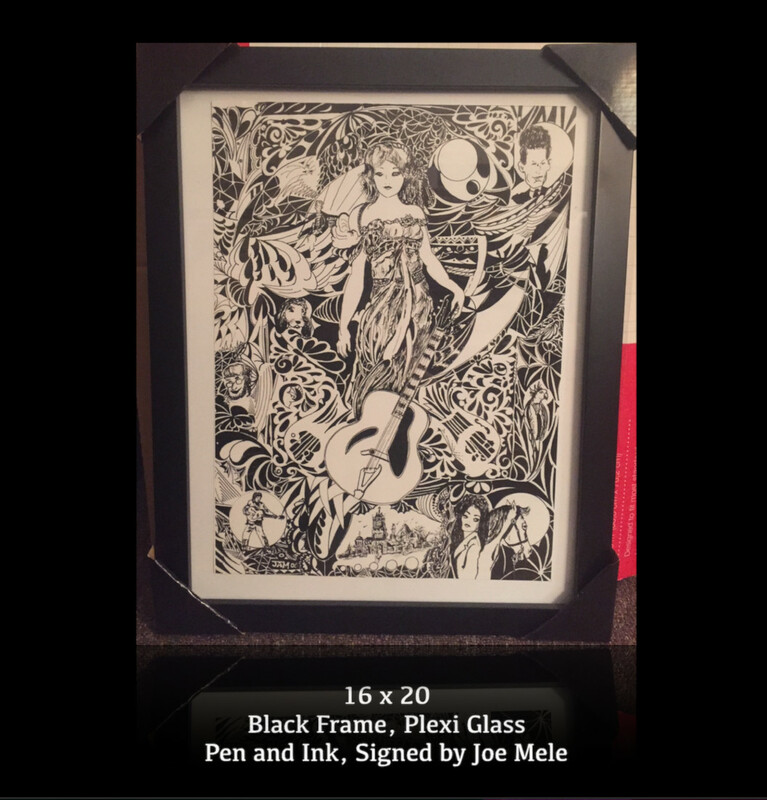 When he isn’t playing, Joe enjoys drawing pen and ink “doodle” drawings that have become treasured works of art for many family, friends and admirers. Joe and the Mele family are delighted to donate a drawing print in support for NAMI’s event and the vital programs that NAMI provides in our community.